Quite often, wedding events tend to run smoothly without any problems. This opinion is based on my observation on weddings (especially Malay weddings) that I had attended. I thought to myself how perfect these events went on, and sometimes the experience was undeniably unforgettable. Behind all the elegance and grandeur ambience as such, do you know that there is someone called the Floor Manager who is responsible in joining all the dots together? He or she is the one who controls the wedding itinerary, making sure that nothing goes wrong. On the slightest hint of flawlessness, the Floor Manager will jump in and correct it discreetly so that it goes unnoticed by anyone else. 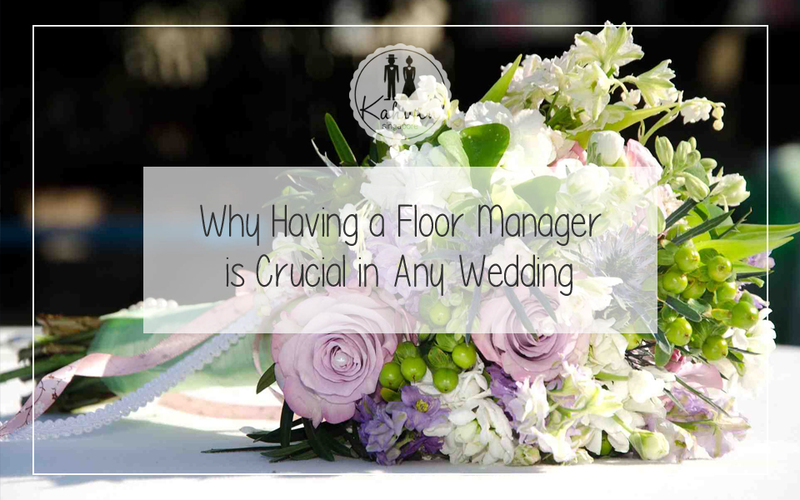 If you think only a big wedding needs a Floor Manager, nay… you’re wrong! So why there is a need to hire one in any weddings, regardless of size? 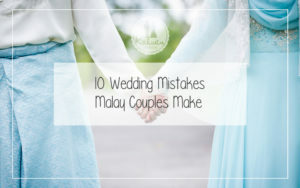 Let’s look at a Malay wedding for instance. The wedding event typically takes an entire day, so it’s not practical to confine the bride and groom in one place and expect them to abide. Without a Floor Manager, it could be a challenge to stay alert on the whereabouts of the pengantin. Of course a mak andam will always be there, but this person’s job is only on grooming and accompanying the pengantin. If she is not informed of the wedding itinerary, she won’t precisely know at what time she should begin the grooming process, so often times the make-up session needs to begin earlier than necessary. When there is a Floor Manager, he will remind the mak andam to start working at the right time. 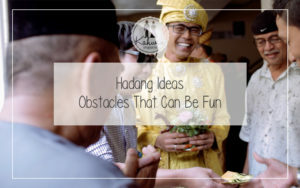 Thus, the bride and groom will be ready on time without putting in more effort than necessary, and other sessions like photoshoot, berarak and makan berhadap won’t be delayed. I am sure you have heard similar occurrences in some weddings before. If you are the bride, and your parents are nowhere to be found, even if you want to, you can’t wait forever. Sure, you will be accompanied by your mak andam, but it’s not the same when your parents are there when you enter the wedding hall. 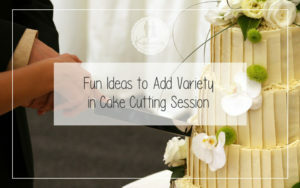 The perfect welcoming session is not just about having your parents at the entrance. Literally, all the uncles, aunties, grandpas, grandmas and close relatives should be present as well. It would be rather insane to tell everyone not to move from the entrance, as it is likely that many of them have been assigned with other duties. With the help of a Floor Manager, everyone could be informed accordingly, thus they could leave their duties for a while without affecting the smooth running of your big day. 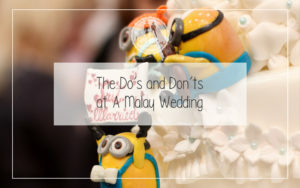 Many Malay weddings still regard merenjis as a compulsory session. Without one, where is the thrill, right? This ceremony must be done according to the appropriate order, where the eldest usually starts first. These days, not only the grandmothers, grandfathers, aunties and uncles are invited to the dais to give blessings. Even the elder daughters and sons are invited as well, making the list longer. It would be rather chaotic when an auntie is missing, for instance. The ceremony could be delayed to wait for her, as the younger ones couldn’t simply jump the queue. It could also turn hilarious when a long line is formed in front of the dais due to waiting for someone who should be there but isn’t. Not only that, the entire blessing ceremony could be delayed and affecting the following session. When you have a Floor Manager, such hassles could be avoided. It would be easier to handle this session as everyone involved has his or her name written in the list, and can be contacted ahead of time for them to get ready. Although these could be seen as trivial matters to some, it could be a big deal to many. It could be quite embarrassing to see your uncle, for instance, eating a slice of cake placed on top of a tissue, because there are not enough plates around. And believe me, people will talk about it and soon enough it would become a juicy gossip. Hmm… my advice is, make sure this won’t happen to you on your wedding day. So yeah, go and hire a Floor Manager as he will save your day. In the past, photoshoots are only meant for the brides and grooms. Others who wanted to capture their moments during the wedding day would usually do it with their own cameras. These days, everyone is included and it is regarded as a semi-mandatory session. The whole family is expected to gather up for group photoshoots, including those who want to use their own cellphone cameras. Usually, the closest family members are the first in line, followed by relatives and friends. There should be a definite order in who comes first. When you have a Floor Manager, he will be the one asking the emcee to make an announcement so that everyone involved can get ready. This will be nicer, right? So is a Floor Manager important? Absolutely. If you don’t worry about money, you can always hire a professional one. If you feel that it’s too much for your budget, it doesn’t mean you should forego having one. There must be someone capable and reliable enough to get the job done, be it your family member or a friend. This person can be appointed to control the flow of your wedding event and to make sure everything goes as planned.